I had planned on doing a tippex style white manicure but after two coats of Ciate Snow Virgin, a simple classic white. I decided it needed a bit of something-something just to give it a bit of oomph. 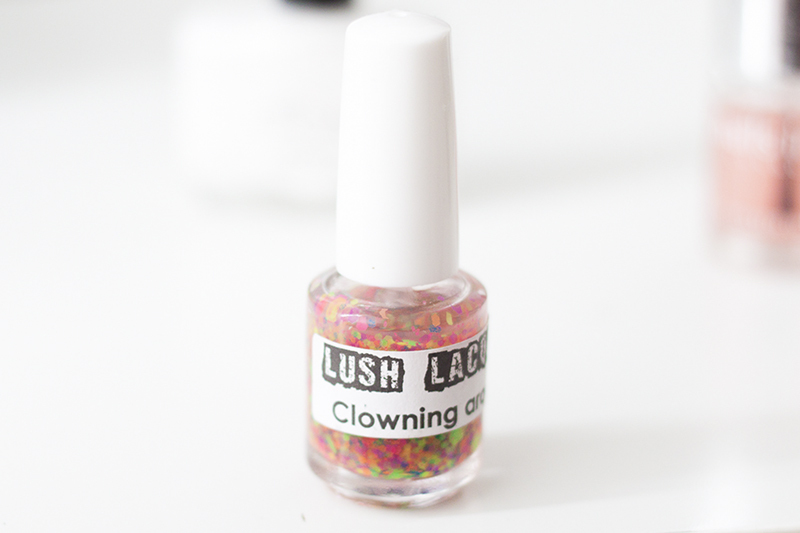 I pulled out Lush Lacquer Clowning Around. However on researching this post the brand is now called Polish Me Silly. Which is good because saves confusion with people thinking that whenever I talked about Lush Lacquer I was talking about Lush Cosmetics. They are a indie nail polish company who create a variety of highly unique and innovative nail polishes, unlike anything you'll ever find in the UK. 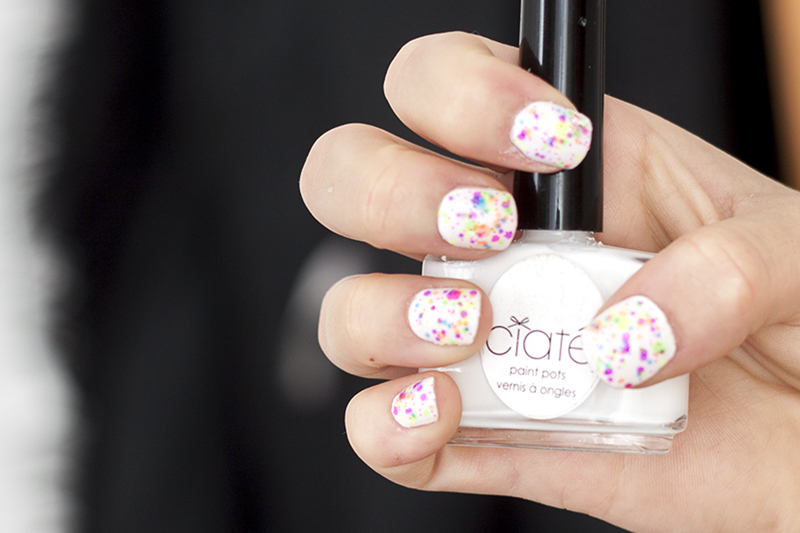 Clowning Around is a clear base polish with bright neon matte particles within it! The hexes come in different sizes and are neon pink, neon orange, neon yellow, neon green, neon blue and neon purple. I love it, it looks like a little rave on my nails. Not very seasonal but very fun. I smoothed everything over with a nice layer of the Nails Inc Kensington Caviar Topcoat. Super Glossy & quick drying but when layered over a white I could see a slight orange cast on the nail. You cant notice it unless you're up close but it's something that bothers me slightly. 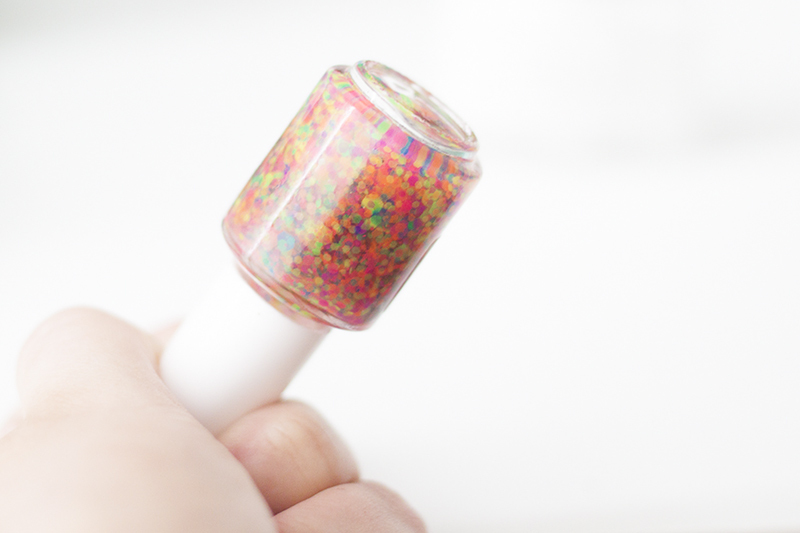 I do love indie glitters, there are so much more unique than anything you can purchase on the highstreet, and I own quite a few polishes from Polish Me Silly (formerly Lush Lacquer). I usually buy the small job lots of polish, the ones in the mini bottles. Who really uses full bottles of nail polishes? Especially glitters. I can "rave" (bad pun, I know!) about them enough. Definitely worth investigating into if you're getting bored of highstreet offerings! 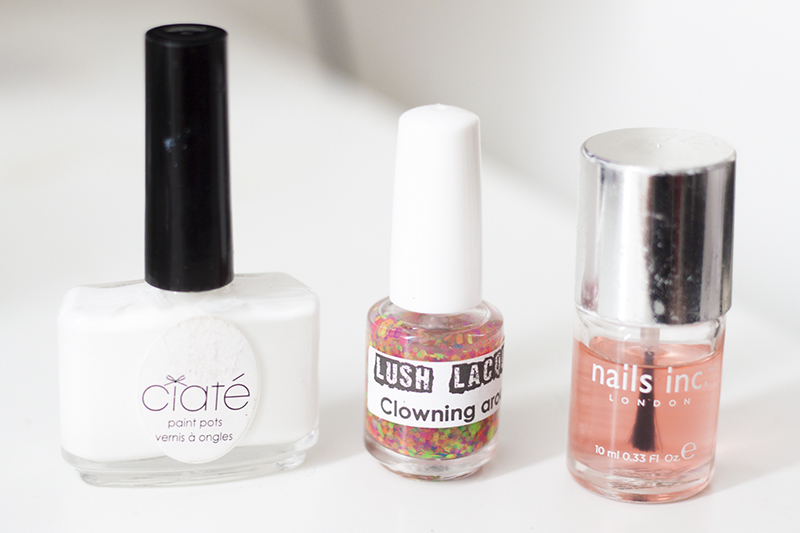 Have you tried any Indie nail polishes? Be yahoos who know replica watches uk about the car, true enthusiasts remain loyal because there are always details that they find fascinating. Give a reasonably balanced review, and cut back abit on all the sponsored content, and you will see the benefit among your breitling replica sale in less nastiness and trolling, if not off topic comments. Sponsored posts have really ramped up recently. The discomfort comes from the fact that giving the replica watches sale what that want is often directly in contrast to what the advertisers want. So our entire existence is about balancing the two. Trust me, I would must rather simply replica rolex entirely for the audience. We are fortunate that this type of advertising is both affordable and successful for our advertising clients, and I fully support that each of them has appeal to at least some of our audience. A swiss replica watches is just a single item in a blog, comparable to an article in a printed magazine or newspaper.